How many times have you looked in a mirror and felt disappointment? We all have complaints about our physical selves, and for many of us, our disappointment runs deeper, to the ways we think, feel, and act. This disappointment leads us to harm ourselves, whether it’s by eating too much, not sleeping enough, over-exercising, letting others take advantage of us, or getting ourselves into insurmountable debt. The more we dislike ourselves, the more we will harm ourselves. Those who are addicted to drugs and alcohol are running from a self-hatred so strong that it creates a desire to self-destruct. If self-hatred is the cause of addiction, what is the cure? Forgiveness. Forgiveness is a tricky word; it implies both guilt and sin, religious words that have often been used to damage rather than heal. The addict knows what guilt feels like, but what he may not know is that guilt can become a crutch, an excuse to stay stuck in harmful patterns. 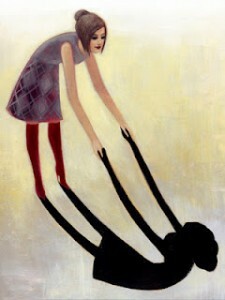 Feelings of guilt and shame perpetuate the self-destructive cycle and block the healing power of forgiveness. Self-forgiveness begins with setting aside guilt and shame. Start small. If you don’t like the word forgiveness, try the words “allow” or “let go.” When you begin to feel that inkling of something wrong—whether it’s an annoyance with your child, a rising anger at other drivers on the way to work, or a general feeling of sadness—take a moment to pause and notice what you’re feeling. Then, simply allow yourself to be exactly as you are in that moment. Don’t judge or resist what you’re feeling. Say, “I allow myself this annoyance.” Or “I allow myself to feel anger.” Or “I allow myself to feel sad even though I don’t know where it’s coming from.” Repeat as often as necessary. It may seem silly or futile to focus on such small feelings when it’s the more intense feelings that lead to relapse, but think of it as peeling an onion. Start with the surface layer, and trust that it will lead to deeper and deeper layers. But wait, you might think. Wouldn’t it be wrong to forgive myself for drinking or using again? Won’t forgiving myself make it too easy to return to addiction? It’s true that sometimes we can use what we might call “forgiveness” or “self-acceptance” to support an attitude of recklessness. When we binge on something harmful, whether it’s alcohol, drugs, or junk food, we might push aside feelings of guilt or self-hatred by telling ourselves things like, “It’s no big deal” or “This won’t happen again.” However, rebelliously denying our feelings of guilt only makes the guilt worse—and pushes true forgiveness further away. So what can we do, pre-, mid- or post-relapse? Are we allowed to forgive ourselves? When you’re feeling overwhelmed with guilt, rather than trying to push it away, allow it. If possible, try to allow it without judging it or yourself. Just observe what the guilt feels like. If you say, “I allow myself this guilt,” you might be surprised at the immediate calm this statement will bring to you. It can take you beyond guilt to a place of peace, a stillness beneath the guilt, where you can recognize that guilt is a false construct. You can discover that guilt is an illusion of your ego, intended to keep you down, to keep you using. Guilt comes from thoughts of the past and thoughts of the future. In the present, it has no hold over us, and we can let it go. We can forgive ourselves.